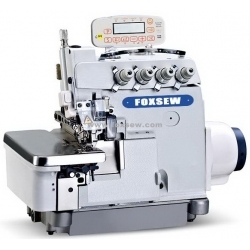 FX6900D-3-EUT: Full Automatic Direct drive super high speed three thread overlock sewing machine, for general plain seaming on light to medium weight materials. Such as knit wear, woven wear. 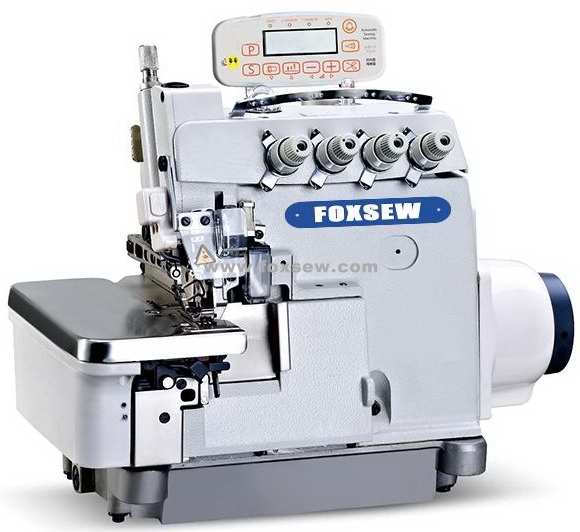 FX6900D-4-EUT: Full Automatic Direct drive super high speed four thread overlock sewing machine, for general plain seaming on light to medium weight materials. Such as knit wear, shirts. (3) Auto presser foot lifter, before the cutting and after cutting process. (4) To solve the waste materials are in the front cover after cutter to cloth, and excessive accumulation effect problem using for machine.